Dravet syndrome is a rare genetic epileptic encephalopathy with onset during the first year in an otherwise healthy infant. Mutations of sodium channels in the brain, specifically SCN1A mutations, cause 79% of diagnosed cases of Dravet syndrome. Frequently referred to as a sodium channelopathy, this intractable epilepsy is characterized by unilateral (one-sided) clonic or tonic clonic (grand mal) seizures that are prolonged (> 5 minutes) or progress to status epilepticus (>30 minutes) and require emergency management. Myoclonic seizures, often called myoclonic jerks, are common and over time seizures present without fever, illness or heat triggers. Seizures are frequent and resistant to treatment. Often the first seizure is associated vaccine administration at six months of age. Between one and four years of age, children develop other seizure types including atypical absence, eyelid myoclonia and non-convulsive seizures. All seizure types may be prolonged or lead to status epilepticus. Seizures are treatment resistant and combination drug therapy is necessary for acceptable seizure control. Some anti-epileptic drugs exacerbate seizures and should be avoided. In most cases, surgery is not indicated. The initial EEG is normal but within the second or third year of life brief, generalized spike, polyspike, or polyspike-wave paroxysms appear. MRI and metabolic studies are normal. Developmental delays appear to varying degrees and ataxia is common. Confirmation of diagnosis, appropriate and aggressive seizure management, and implementation of global therapies are necessary to improve the outcome of children affected with Dravet syndrome. (GEFS+) at the mild end to Dravet syndrome (Ds) at the severe end. Three hundred and thirty various SCN1A mutations have been associated with Dravet syndrome . Type or location of the mutation is not well correlated to severity of illness or cognitive outcome; however, truncation mutations including frameshift and nonsense and de novo (mutation not passed from parent) mutations are more likely to be associated with more severe disease and impaired cognition than missense mutations. The course of disease or clinical outcome in a child that has inherited an SCN1A mutation from a parent with a less severe clinical presentation is not clear cut as multi-genetic variability has been reported in the literature and the spectrum of this genetic epilepsy is not completely elucidated. seizures had one or more complex features such as focal onset (affecting one side of the brain), duration 10 minutes or greater, or multiple seizures during the illness. Epidemiologic studies of GEFS+ are lacking; no comprehensive epidemiology reports are found in the literature. Ds is a rare disorder with an incidence estimated between 1:20,000 and 1:40,000 representing about 7% of all severe epilepsies starting before the age of 3 years. Prevalence of SCN1A related seizure disorders, syndromes, and encephalopathies are currently difficult to estimate as the commercial availability of genetic testing is recent. 2008 revision as a Genetic and Developmental Epilepsy syndrome. spikes, childhood occipital epilepsy, absence epilepsies is worthwhile. A study published in the Lancet Neurology, a medical journal, in 2006 reported SCN1A mutations in 11 of 14 patients with alleged vaccine related seizures and brain dysfunction (encephalopathy). lasting more than 10 minutes were regarded as significant risk factors for Ds. myoclonic seizures, and hot water–induced seizures. understanding over overlapping encephalopathies will help define the spectrum of sodium channel related epilepsies. “baby face look” continues into adulthood. Ds leaves children cognitively and developmentally impaired— often severely. enriched environment is encouraged. Ds are in the early stages of investigation. Stiripentol (Diacomit) Stiripentol (Diacomit-Biocodex, France) is authorized in the European Union in January, 2007 for use in conjunction with clobazam and valproate as adjunctive therapy of refractory generalized tonic-clonic seizures in patients with severe myoclonic epilepsy in infancy (SMEI or Dravet syndrome) whose seizures are not adequately controlled with clobazam and valproate. On November 11, 2008, the FDA accepted stiripentol as an Orphan Drug. This acceptance was initiated and supported by the leadership of the Intractable Childhood Epilepsy Alliance (www.ICEpilepsy.org). Stiripentol works indirectly as a cytochrome P450 coenzyme inhibitor, linearly increasing the area under the curve of drugs with major metabolism through this pathway. It also has weak GABA-ergic activity. The drug interactions associated with stiripentol delayed acceptance of this drug by the EMA until studies showed significant efficacy of STP+VPA+CBZ in children with Dravet syndrome. It is important to note the proven clinical utility to date of stiripentol in Dravet syndrome is for: 1) Children who have not reached adolescence; 2) Decreasing frequency and/or duration of seizures, particularly status epilepticus; and 3) Dravet syndrome in combination with clobazam and valproic acid. Clinical studies do not support the use of stiripentol outside of this combination. Further, caution should be exercised when adding stiripentol to CBZ and VPA due to significant increases in active drug and metabolites which may lead to toxicity. STP: 50 mg/kg/day with careful monitoring of VPA levels and adverse effects due high CLB levels; increase to 100 mg/kg/day with a max of 4 g/day per seizure control and tolerance; divide BID – TID with meals. Clobazam (Frisium-Ovation, Chicago) is an atypical benzodiazepine with activity at the 1,5 BZD receptor. Traditional BZDs bind to the 1,4 BZD receptor. Clobazam is less sedationg and less likely to blunt cognition compared to traditional BZDs. Nor-clobazam (N-CBZ), is a potent active metabolite. Blood levels of traditional BZDs such as clonazepam (CZP) or lorazepam will increase when STP is associated; however, active metabolites of these compounds are not as potent as N-CBZ and controlled clinical trials of STP with traditional BZDs are lacking. CBZ may be used alone or with STP combination therapy for Ds. CLB (clobazam): 0.2 – 2 mg/kg/day divided BID or TID; reduce CLB by 50% when STP is added to avoid toxicity expressed by aggressive behavior, hyperactivity, insomnia, or lethargy – titrate as necessary for seizure control as tolerated. Though not exact, about a 1:10 relative dose proportion exists between CZP:CLB; when converting CZPto CLB it is prudent to introduce CLB as CZP is weaned to avoid precipitation of SE. Ovation Pharmaceuticals has received Orphan Drug status for CLB use in LGS and is pursuing full FDA approval. Epistatus (buccal midazolam maleate-Special Products, London) is available as a special product in the UK. This novel compound is a patented maleate midazolam salt with optimal pH for mucosal membrane absorption. Special Products of London owns this compound and will seek acceptance of regulatory authorities and approval multi-nationally in time. In the most recent Cochrane Reviw of managing acute tonic-clonic convulsions in children including status epilepticus, Appleton et al concluded “where intravenous access is unavailable there is evidence from one trial that buccal midazolam is the treatment of choice”. Standardized doses of buccally or nasally administered midazolam are not accepted by any regulatory agency at this time; however, 0.3 mg/kg/dose has been utilized in most published clinical studies. Trials are lacking for use of STP combination in conjunction with ketogenic diet (although this combination is being utilized); appetite suppression is common; macrolide antibiotics are commonly prescribed and should be avoided when possible due to drug interaction – caution parents to be aware of interactions with other AEDs, natural supplements, and drugs and to ask before giving to child. STP, CLB and Epistatus are not available in the US and have limited availability in other parts of the world outside of Europe; however compassionate use policies allow import with appropriate process for each country. STP may be obtained directly through Biocodex Pharmaceuticals, France pursuant to compassionate use regulations specific to each country. Contact Biocodex at www.biocodex.com. STP, CLB, and Epistatus may also be obtained through Caligor Pharmacy in NY for patient s living in the United States. In the US, Caligor Pharmacy in New York serves as an imported for compassionate use products and can obtain STP and CLB. Contact Caligor Pharmacy at 212.369.6000 or FAX: 212.879.8415. 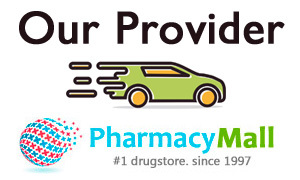 Patients may choose to obtain medications from overseas pharmacies or through websites. Obtaining compassionate use products by these methods are not in compliance with US FDA governance and product quality may be questionable. For information or guidance on compassionate use or Orphan Drugs for intractable epilepsy, please contact us at [email protected] ICEpilepsy does not promote the use or market non regulated drugs in the United States or other other countries. ICEpilepsy serves the child with intractable epilepsy by providing peer reviewed literature, research, advocacy, and resources for the child neurologist to optimize treatment in Dravet syndrome and other intractable childhood epilepsy syndromes. TPM (topirimate): 5-9 mg/kg/day (up to 25 mg/kg/day have been reported necessary for seizure control in some patients with Ds) divided BID per manufacturer; higher doses have been reported and may be necessary for acceptable seizure control; cognition and language impairment should be monitored and dose minimized when possible; hypohidrosis or anhydrosis are side effects and may increase sensitivity to heat; TPM used with VPA may cause ammonia induced encephalopathy –check ammonia levels in this combination if behavioral changes occur. VPA (valproate): 30-50 mg/kg/day divided appropriately; serum concentration target 70-100 mg/L; higher serum concentration may be necessary for acceptable seizure control if tolerable; baseline and regular monitoring of LFTs in young children is prudent due to risk of liver toxicity in children under 2 years; supplementation with L-Carnitine 50 -100 mg/kg/day may reduce risk of liver toxicity from carnitine depletion; reduction of VPA by 30% when baseline serum concentration in lower range and up to 50% when baseline serum level is on higher range when adding STP is added due to CP450 interactions – baseline and weekly VPA levels during STP titration will help avoid VPA toxicity. Infancy, Childhood and Adolescence, 3 ed. John Libbey, Eastligh, pp 81-103. 2002 2. Lossin. A catalog of SCN1A variants. Brain De2008:doi;16:1016/jbraindev.2008.07.011. 4. Miller I, Sotero de Menezes M. SCN1A Seizure Disorders. Gene Reviews: NCBI Bookshelf 2007;www.ncbi.nlm.nih.gov/bookshelf. 5. Harkin LA, McMahon JM. The spectrum of SCN1A-related infantile epileptic encephalopathies. 6. Nabbout R, Gennaro E et al. Spectrum of SCN1A mutations in severe myoclonic epilepsy of infancy. Neurology. 2003; 60: 1961–7. father with febrile seizures. Brain & Dev(2005) ;27: 424-430. 8. Hurst D, Epidemiology of Severe Myoclonic Epilepsy of Infancy. Epilepsia 2001;42:796-803. 11. Scheffer I, et al., Neonatal epilepsy syndromes and GEFS+. Epilepsia 2005;46(10):41-7. 12. Iwasaki N, Nakayama J. Molecular Genetics of Febrile Seizures. Epilepsia 2002;43:32-35. 13. Scheffer I, Berkovic S. Generalized (genetic) Epilepsies with Febrile Seizures Plus. In: Engel J, Pedley T. Epilepsy: A Comprehensive Textbook. Lippincott Williams & Wilkins 2007; 2553-2662. 15. Chiron C, et al., Lancet 2000;356:1638-42. 16. Yakoub M, et al., Early diagnosis of severe myoclonic epilepsy in infancy. Brain Dev 1992;14;299-303. 17. Pellock JM. Tiagabine (Gabitril ) Experience in Children. Epilepsia 2001; 42:49-51. 18. Laux, L. Personal communication. 19. Dravet C. Personal communication. 20. Caraballo R, Cersosimor R. et al. Ketogenic Diet iin patients with Dravet syndrome. Epilepsia 2005; 46:1539-44. 22. Guerrini R, Dravet C et al. Lamotrigine and Seizure Aggravation in Severe Myoclonic Epilepsy. Epilepsia 2005; 39:508 – 512. Maryse Lassonde and Ulrich Stephani. Epilepsia 2006; 47:53-55. 24. McIntyre, J Robertson S et al. Safety and efficacy of buccal midazolam versus rectal diazepam for emergency treatment of seizures in children: a randomized controlled tiral. Lancet 2005; 366:205-210. 25. Fisgin T, Gurer Y. Effects of intranasal midazolam and rectal diazepam on acute convulstions in children: prospective and randomized study. J Child Neurol 2002;17:123-6. 26. Kutlu NO, Dogrul M. Buccal midazolam for treatment of prolonged seizures in children. 27. Berkovic SF, Harkin L et al. De-novo mutation of the sodium channel gene SCN1A in alleged vaccine encephalopathy: a retrospective study. Lancet Neurology; 15:488-92. Thanks to Dr. Have for her generous review and contribution to this article. Thanks to Dr. Ellie Stephenson for her input. [i] ILAE is the world’s preeminent association of physicians and other health professionals working towards a world where no persons’ life is limited by Epilepsy. Its mission is to provide the highest quality of care and well-being for those afflicted with the condition and other related seizure disorders. Naming and classification of seizure types and syndromes are orchestrated by this organization.